The Star paint was designed specifically for the winners of “Star Battle” tournament which is held among players of German community. 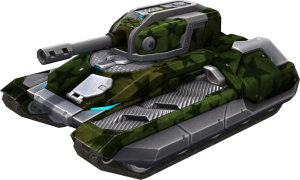 A player using this paint will not only stand out from the crowd but will also turn into a serious opponent on the battlefield. After each tournament the paint is given to new winners. This page was last modified on 22 September 2018, at 12:46.